If you're thinking about making your own will, you may feel a little uneasy about the process. After all, shouldn't you seek a lawyer's help with such an important legal document? The answer depends on your situation. If you're like most people, you won't need a lawyer. With good do-it-yourself materials, it's not difficult to make a will that takes care of basic concerns, such as leaving a home, investments, a small business, and personal items to your loved ones. And if you have young children, you can use your will to name a guardian to take care of them, as well as someone to manage any property they inherit. You may be interested to know that when lawyers draft wills, they usually start with a standard form that contains the same types of clauses contained in most do-it-yourself wills. Most attorneys put their standard will form into a computer and have a secretary type in the client's name, the names of the people the client wants his or her property to go to, and other basic information -- exactly what you can do for yourself when you make your own will with software. You need to sign and acknowledge your will in front of two witnesses. But beyond these basic requirements, you may parcel out your property however you like, and you don't have to use fancy language to do it. In short, if you know what you own, whom you care about, and you take a little time to use self-help resources, you should be fine. Make your will today with maximum ease and minimum cost using Nolo's Online Will. Just log in, answer questions about yourself and your property, and print. Your document will print out with detailed instructions on how to sign in front of witnesses to make your will legally binding. 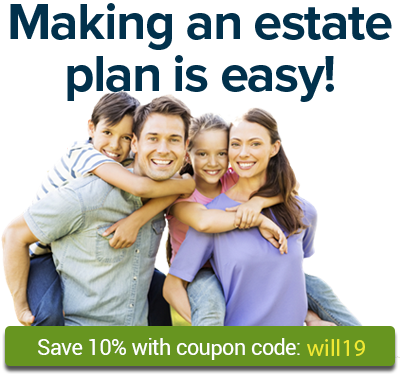 Or make your will with Quicken WillMaker Plus, software that comes with dozens of other useful documents such as Power of Attorney and Health Care Directive. You expect to leave a very large amount of assets and they may be subject to estate tax unless you engage in tax planning. You fear someone will contest your will on grounds of fraud, or claim that you were unduly influenced, or weren't of sound mind when you signed it. If you decide to see a lawyer, your next task will be to find one who is knowledgeable about wills, charges a reasonable fee, and will respect your efforts to make your own will. This may not be easy, but it shouldn't be impossible. See How to Find an Excellent Lawyer. Or, you can go to Nolo's Lawyer Directory for a list of estate planning lawyers in your geographical area (click on a lawyer's profile to learn more).